The 5th edition of Seedstars Summit will be held on April 12th 2018, in Lausanne. It’s been now 5 years that Seedstars World adventure started and on this great occasion, we wanted to ask Alisee de Tonnac and Katarina Szulenyiova, respectively CEO and COO of Seedstars World, some crispy behind the scenes details! How did you organise the 1st edition of Seedstars World summit without any connection in the field at the beginning? 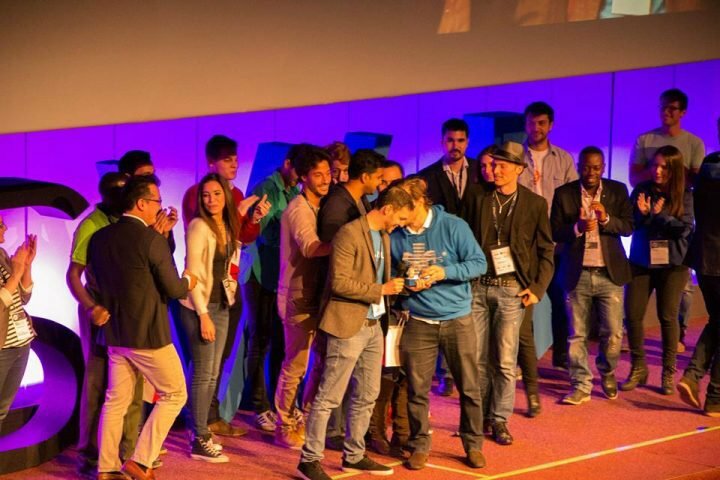 Alisee: During the first two years, following the “hack the system” motto of the company, we decided to kickstart Seedstars World as part of the Lift conference in Geneva, Switzerland, and it literally lifted Seedstars up! Working with them helped us meet key contacts that helped us grow Seedstars and taught us a lot about organising global events. As for the 1st world tour, being part of sandbox network helped us a lot in meeting entrepreneurs all around the world. We were super scared and we didn’t know if we could really do it but we had bought all 20 non-refundable tickets in advance. There was no going back! Can you tell us some crazy story that happened behind the scenes during the previous Seedstars Summits? Alisee & Kat: One of our incredible ideas for the 2nd Seedstars Summit was to print the trophy with a 3D printer! Looking back, it really wasn’t a great idea when we had to award it to the winner. The trophy broke in two pieces in my hands just a few seconds before going on stage!I had to repair it with a tape and whisper in the ears of the winner to hold it with two hands so that it doesn’t fall apart on stage. That was such an embarrassing moment. But now, it’s a funny story to recall! What was key to make these previous editions a success? What do you think was your best assets for organising the summits? Alisee: From what we hear as feedbacks every year, the team seems to be our key. All attendees talk about the energy of the “blue hoodies”, the community that seems in such a good harmony. Kat: I would say our strength lies in our ability to create this unique bond between the entrepreneurs from all around the world and Seedstars team. Every year it feels like some kind of super powerful friends gathering that gives so much power to the team! Thanks to all these human interactions, everybody gets deeply involved and committed to the success of the events. What would you recommend to someone who wants to start organising global tech events like Seedstars World? Alisee: “Find your Unique Selling Proposition and stick to it”. It is super important to differentiate from the others and this aspect is actually powerful enough to make your event unique. There are so many events like this now that you need to have a really strong and unique value proposition. Respecting it should be on top of your list, always. On our side that USP is that we pay for all transportations and accommodations for the startups. This year we’ll take 65 startups from all around the world to the Summit, can you imagine what it represents in terms of financial resources and logistical coordination due to visa complications? But that’s who we are, that’s our core identity: bringing startups from ecosystems from all around the world together and allowing them to connect and to meet investors and grow their business. So we’ll stick to it no matter what it takes! Kat: My main piece of advice would be to find the best people to work with from the very beginning. In order to organise a global event, you’ll need people working on the ground in different regions. Remote work is a true challenge. To overcome this, you need to have the best talents on board with you. Hire people who require the lowest level of management and you will gain so much time and quality in accomplished work! 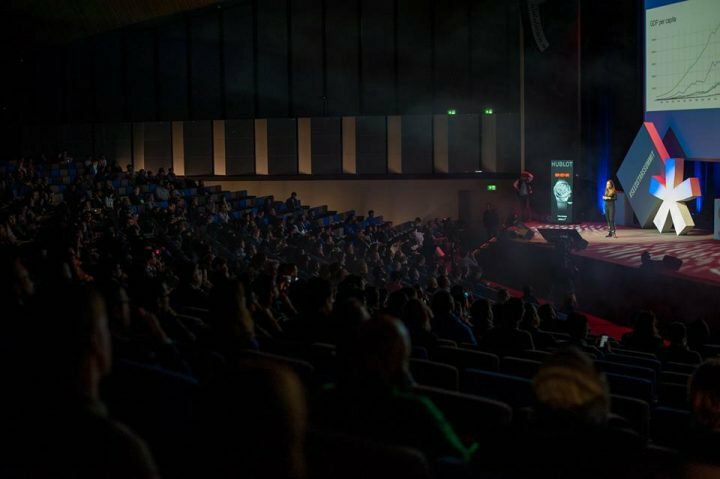 What is the most difficult part in organising this kind of big events that nobody ever talks about? Alisee: You might think that organising events is all about planning everything. In fact, it’s not. It’s about solving last minute problems. It’s hard to imagine the energy needed to organise such a big event, there is no room for sleep! Kat: Like Alisee, I think that it’s hard to imagine as an attendee the effort that goes into accomplishing such a big event. The organization of the whole event is actually the addition and right coordination of thousands of small tasks, synchronisation of hundreds of people, attention and predictability of dozens of situations that could come up. The level of consciousness in the organization and the attention to details required are simply immensely high. And what is the best part in organising events of such immense scale that nobody ever talks about? Alisee: Weird as it is, I would say that it’s the same! This shared adrenaline and unexpected moments are priceless! In the end the sensations you have are completely worth it! Kat: This kind of event definitely creates unforgettable moments with many different people: team members you (re)discover, entrepreneurs from all around the world and so more who will share the same vision and mindset. The human moments are so intense and valuable that the overall feeling of the event is always amazingly positive! 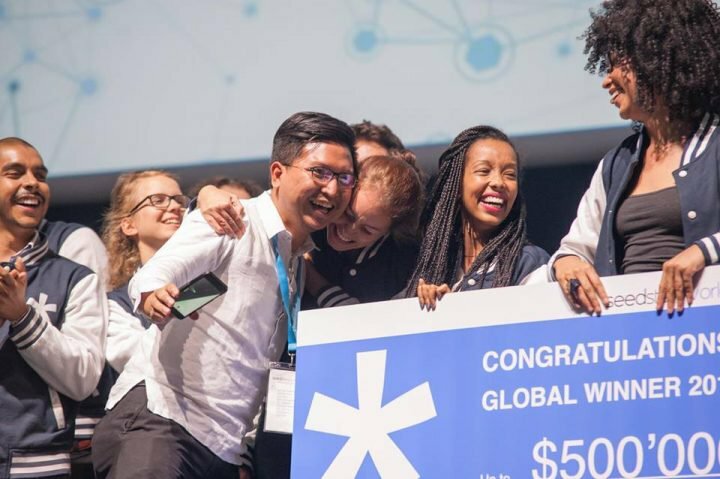 Where do you see Seedstars World Competition in 5 years? In 10 years? Alisee: I’d like Seedstars World to be still growing and scouting for startups in even more cities and new countries. I also dream that our community will be very active through the tools we’ll provide them with: Community app, insights, etc… If we accomplish this, I’d say that the main challenge will be to ensure this family and community spirit all around the world! Kat: Right now I’m frustrated because we are limited by time and resources when we go on our world tour every year, so we don’t really have time to go in depth in the relationships with the entrepreneurs and to spend a lot of time with them. I’d like to have more time to spend in every city so that we can understand all local needs in detail because they are all very different depending on the city, country, industry, etc… Hopefully this is the direction we are taking by opening hubs all around the world and launching digital products for the entrepreneurs to connect more amongst themselves. Want to be part of the 5th Seedstars Summit? Book your tickets here for the 2018 edition!